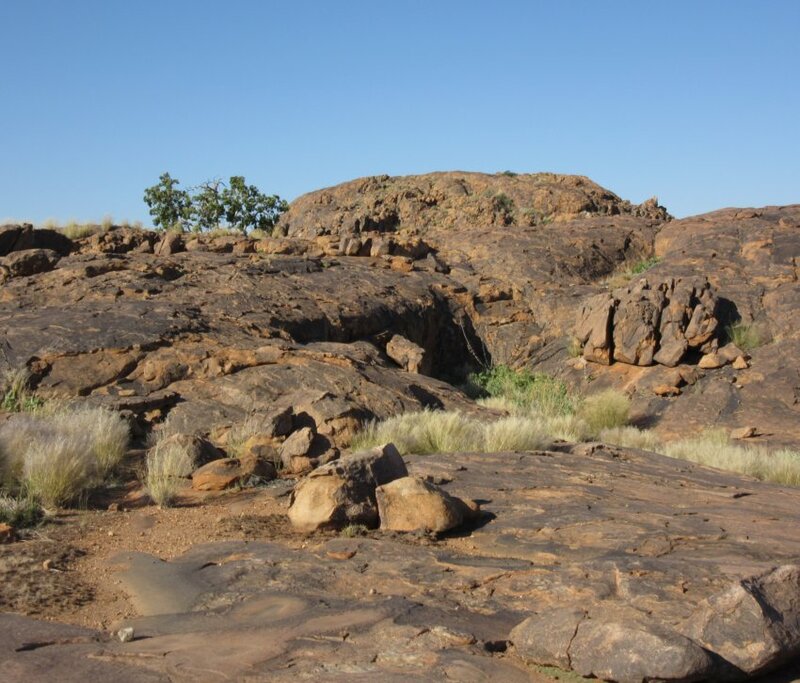 On our way way to Augrabies we stopped off to visit a petroglyph site just outside Kenhardt. 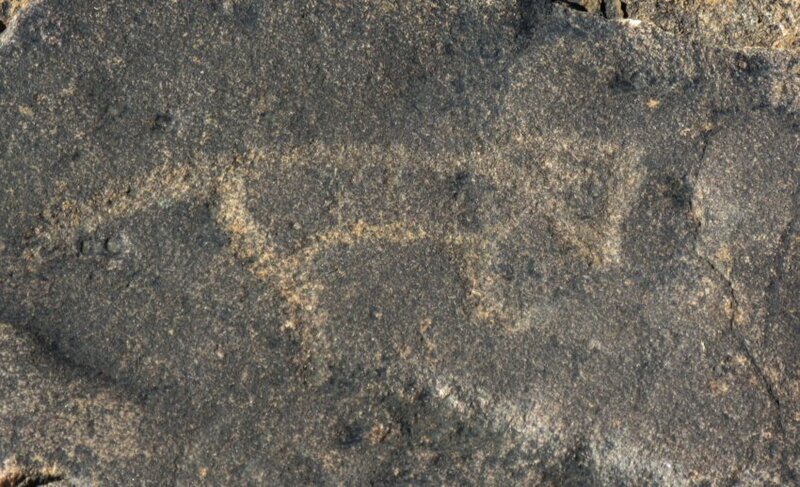 Amanda made contact with Elma a very enthusiastic woman who agreed to take us out to view the petraglyphs. 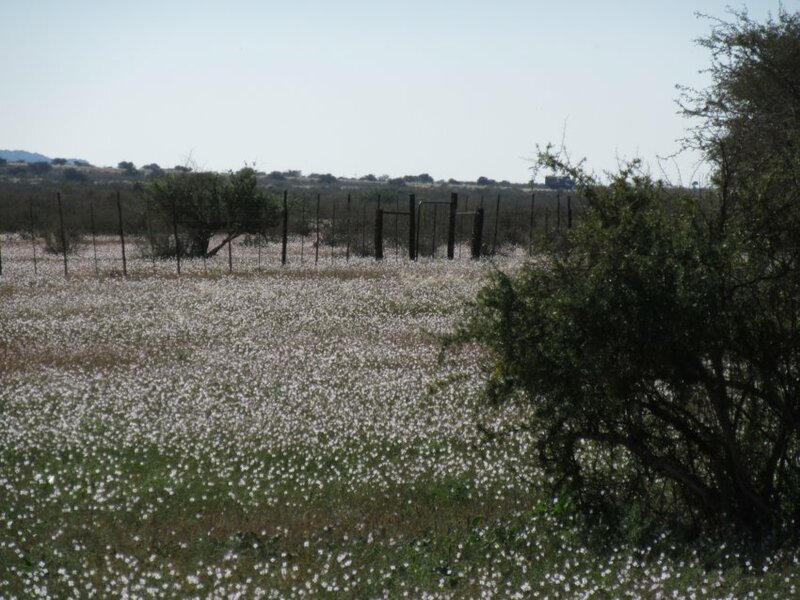 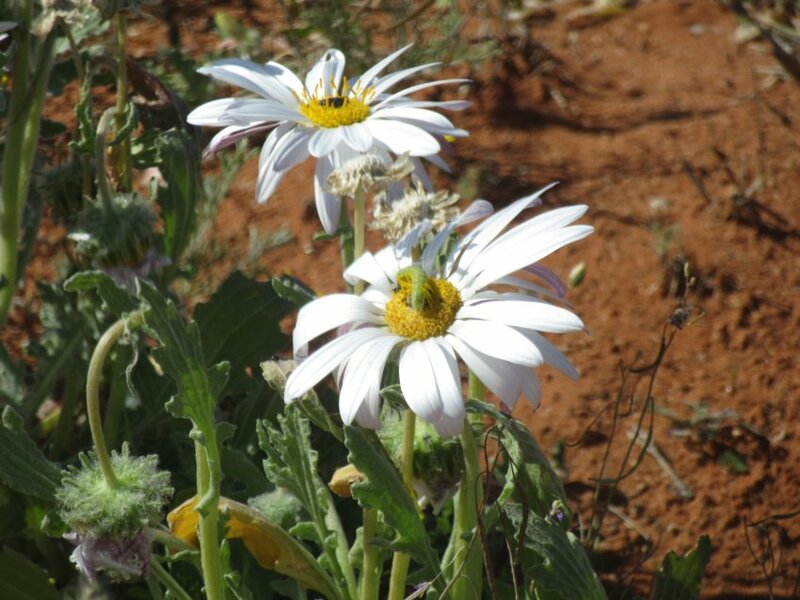 There had been a bit of rain and so the flowers of region had started to blossom. 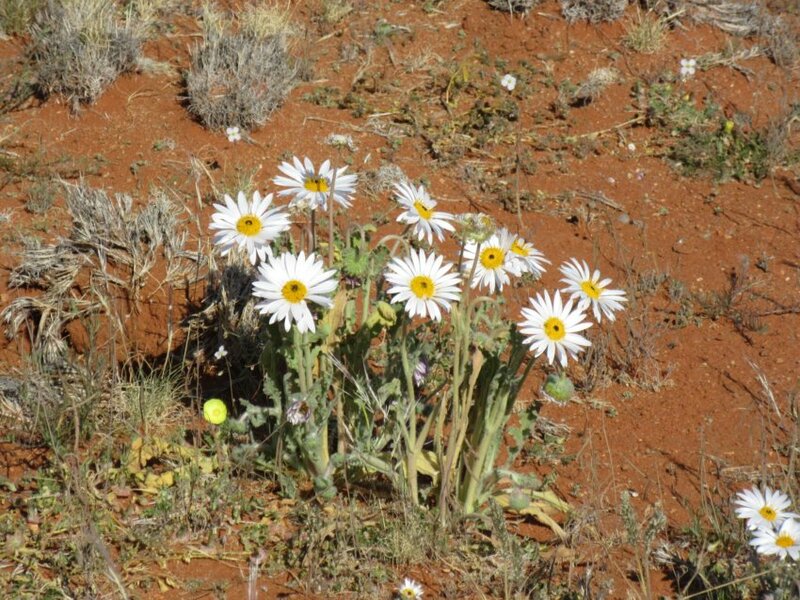 Especially beautiful were the Gouwsblomme. 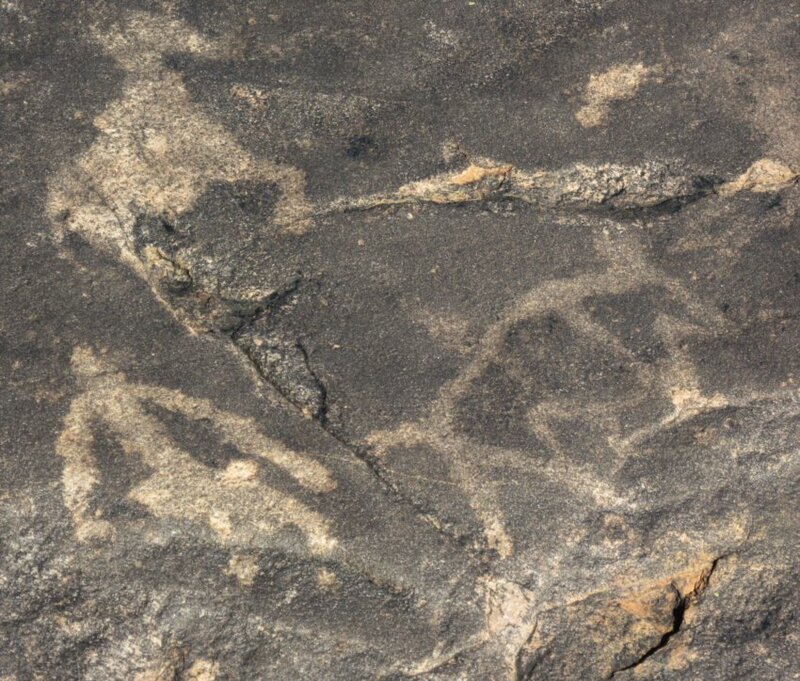 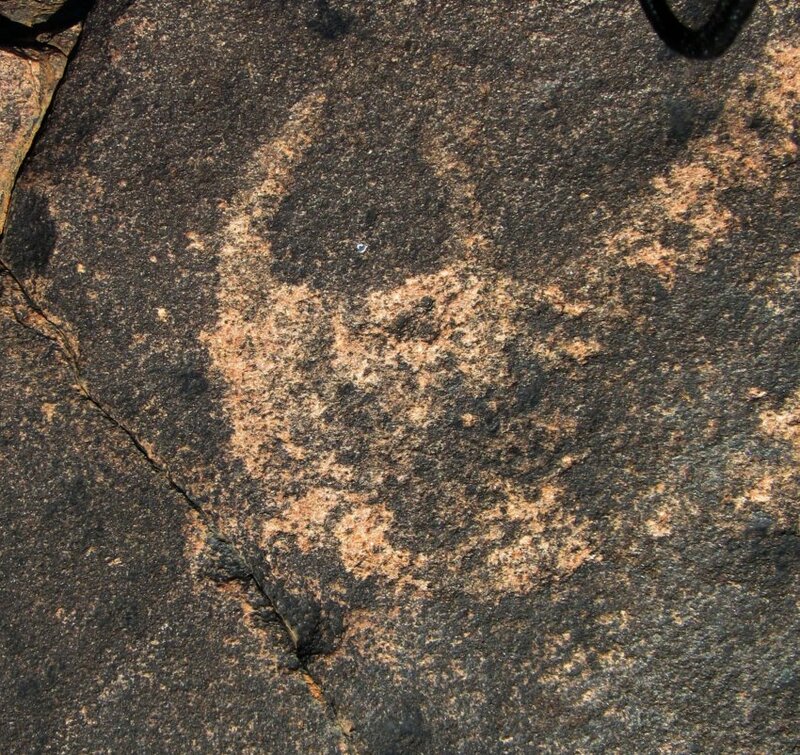 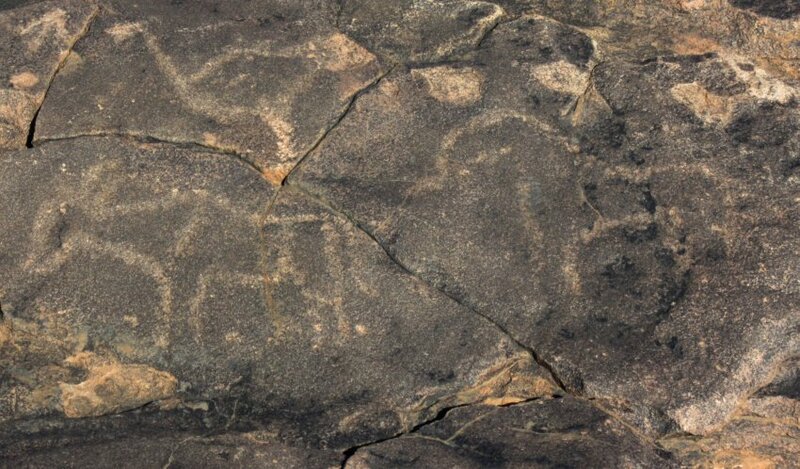 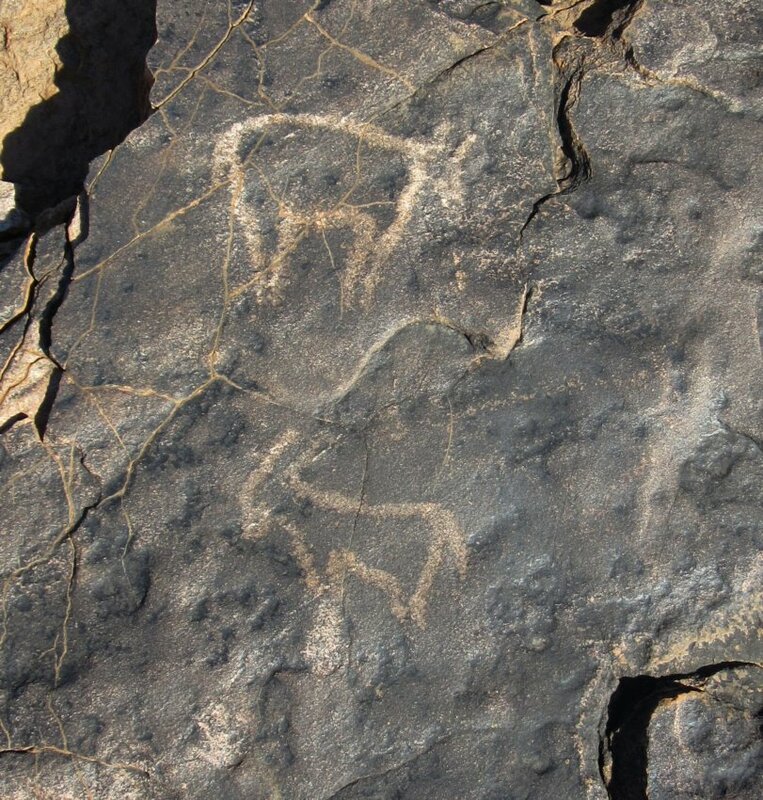 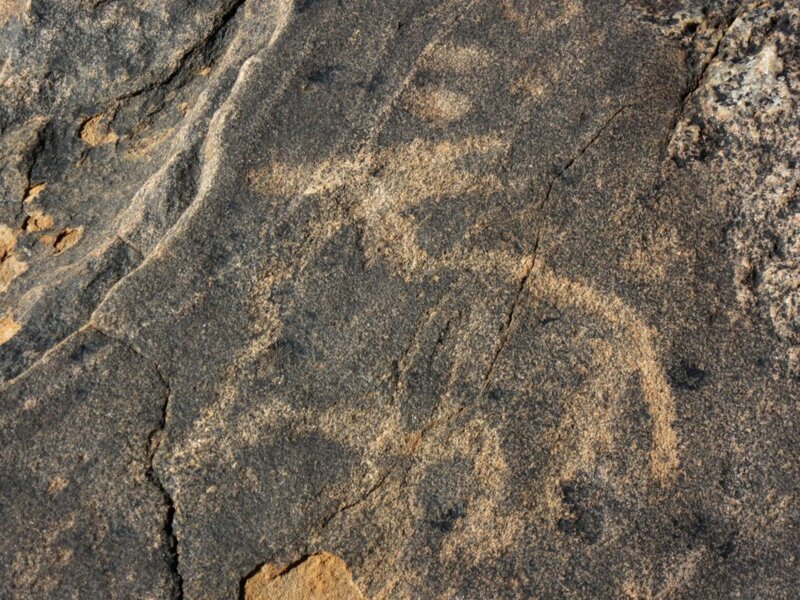 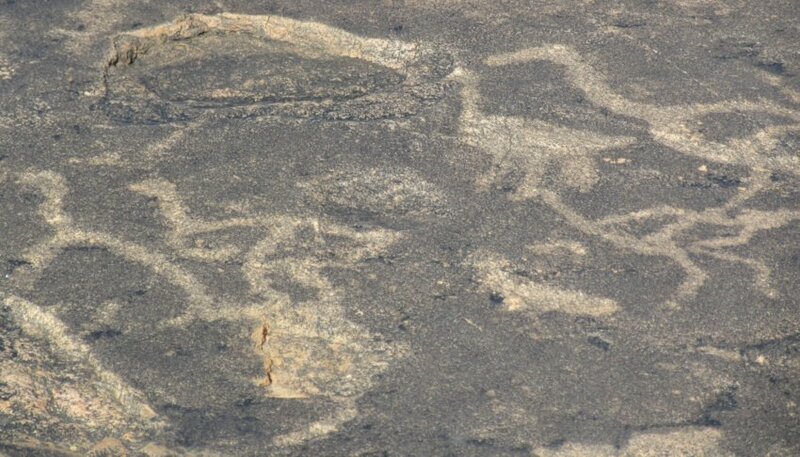 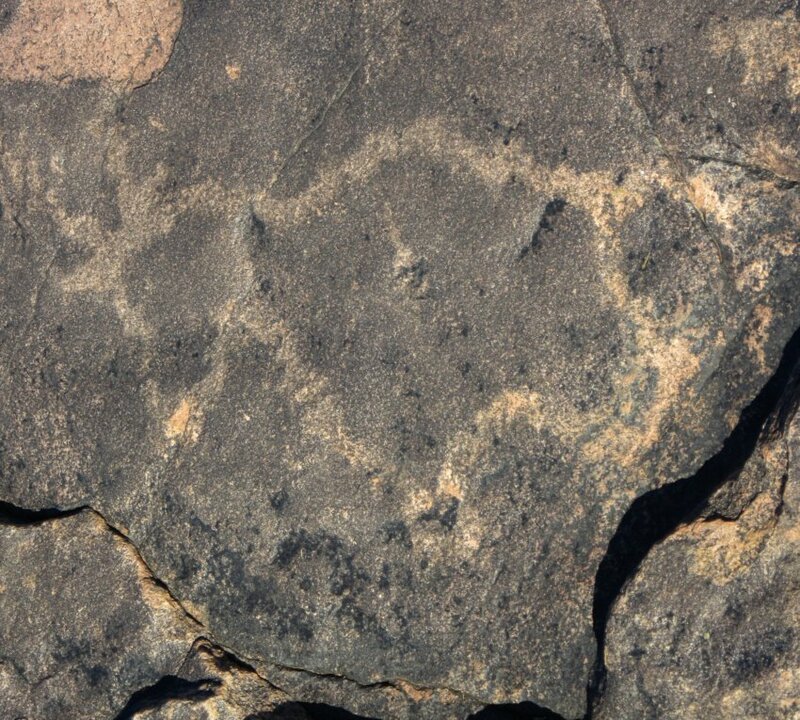 The petroglyphs were clustered on one side of a hill or kopie as it is known in Afrikaans. 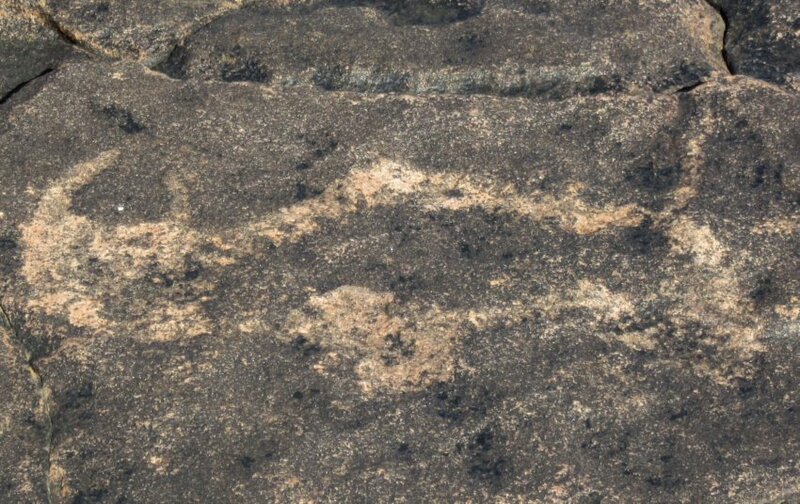 This is part of that kopie. 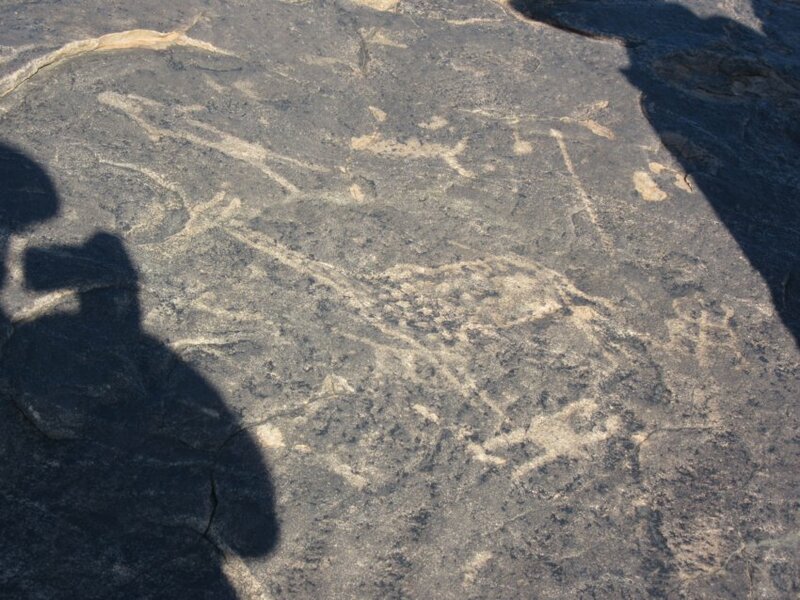 What follows is a collection of the pictures I took of the pectroglyphs. 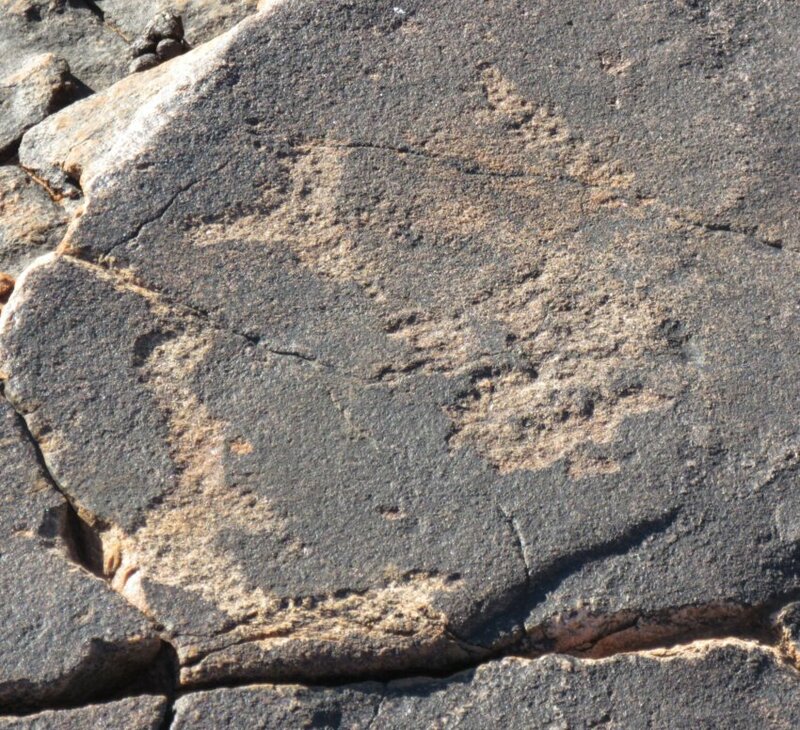 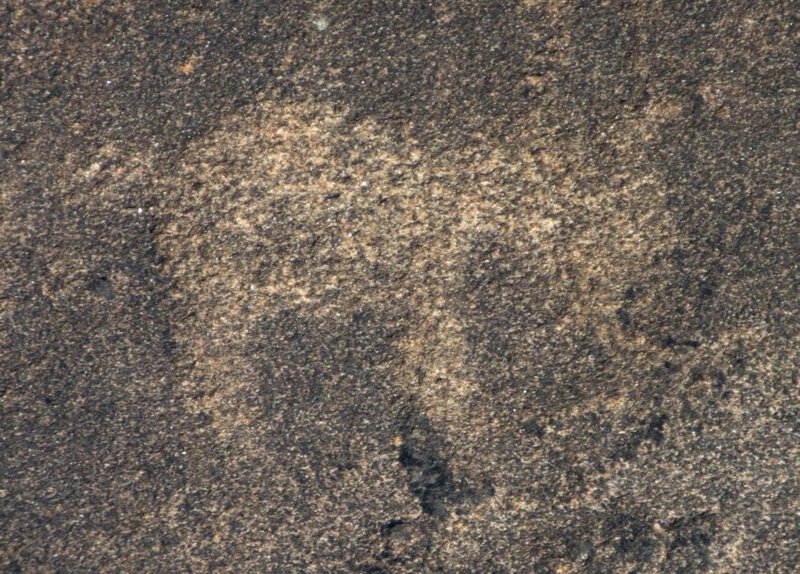 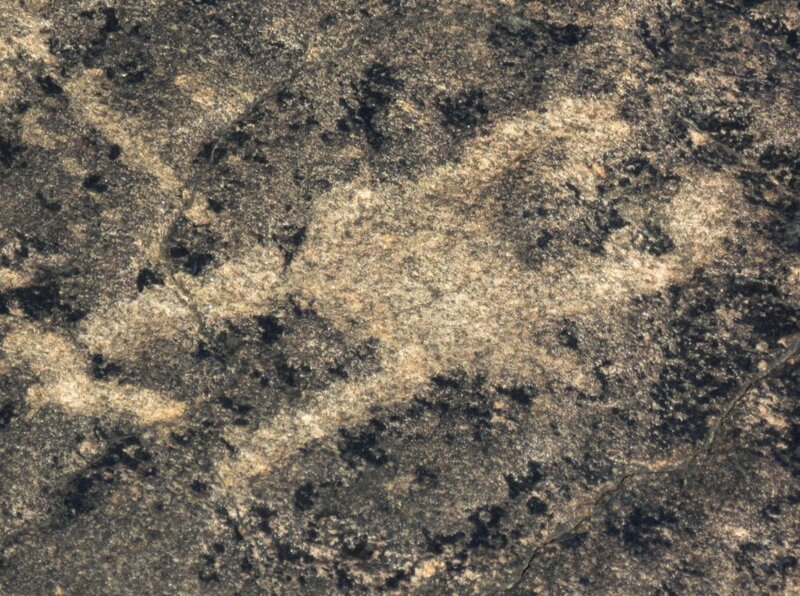 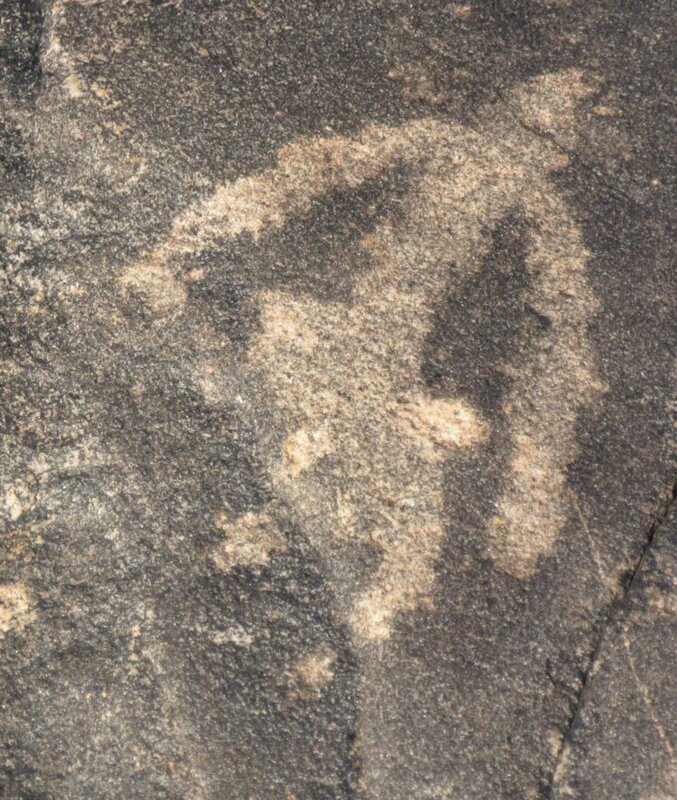 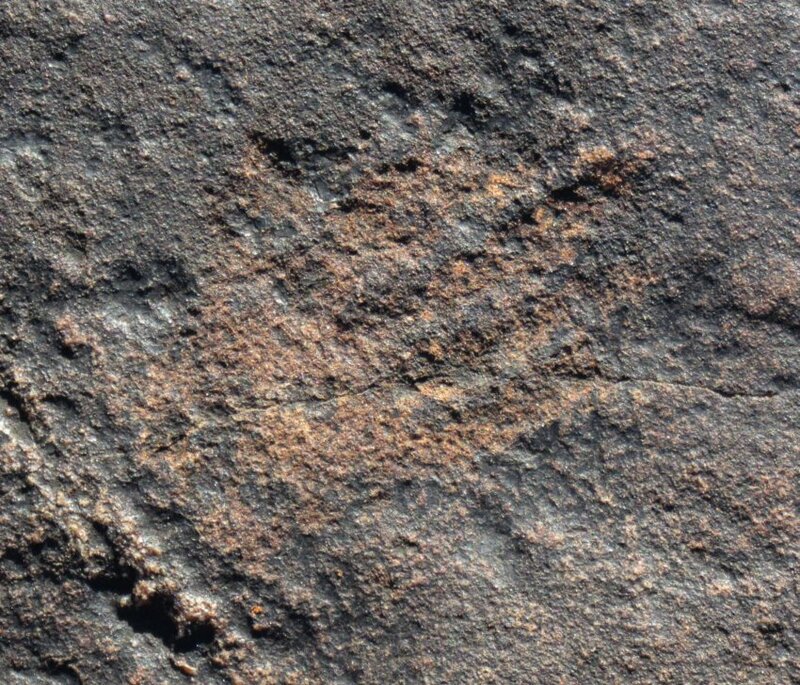 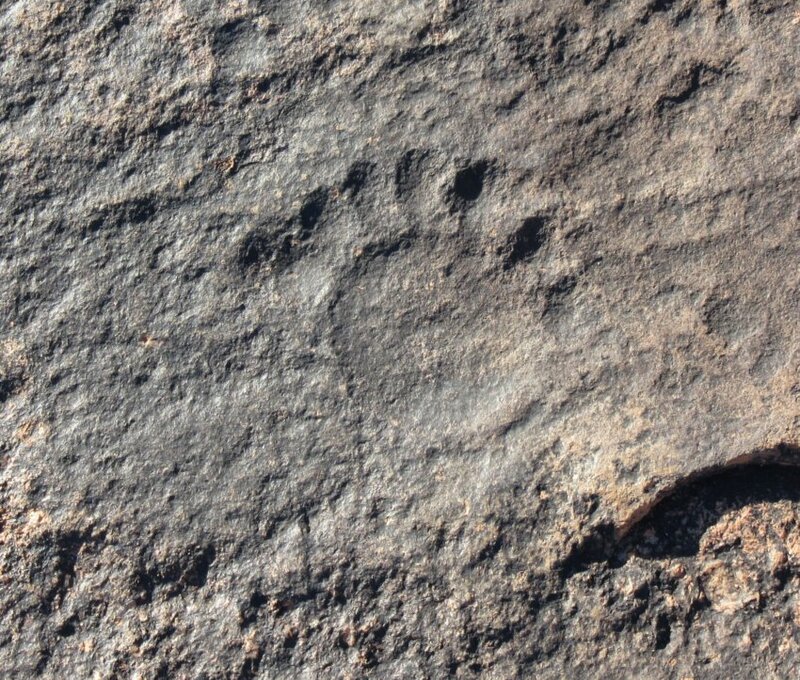 This one is fascinating in that there are seven toes on what looks like an animal footprint.